From the moment he joined the club on deadline day in the summer of 2013, most Manchester United fans have never really accepted Marouane Fellaini into their hearts. The towering Belgian’s presence on the field often means the Red Devils adopt a long-ball approach which isn’t in keeping with the club’s traditions of fluid, attacking football. And, although he has his uses, the midfielder lacks the poise and subtlety in possession of, say, a Paul Scholes or Paul Pogba. 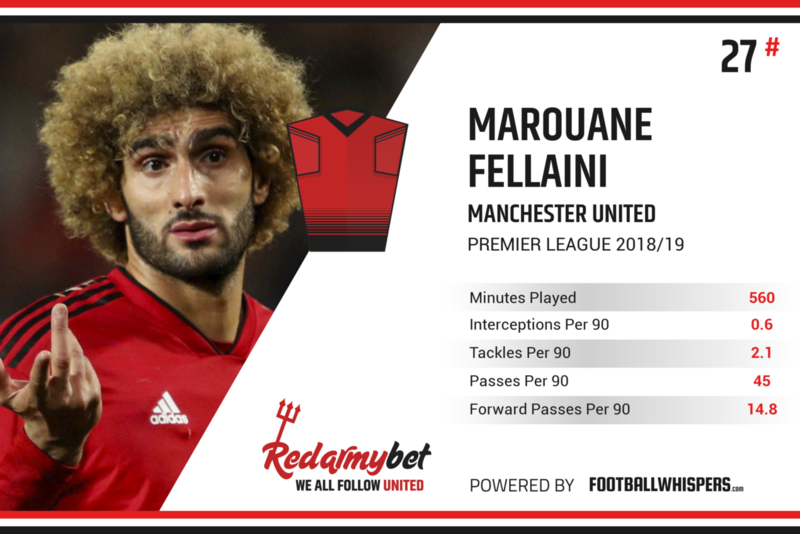 But for all his shortcomings, Fellaini is now in his sixth season as a United player, having racked up more than 170 appearances for the 20-time English champions, and a new contract, signed earlier this year, means he is unlikely to be leaving any time soon. 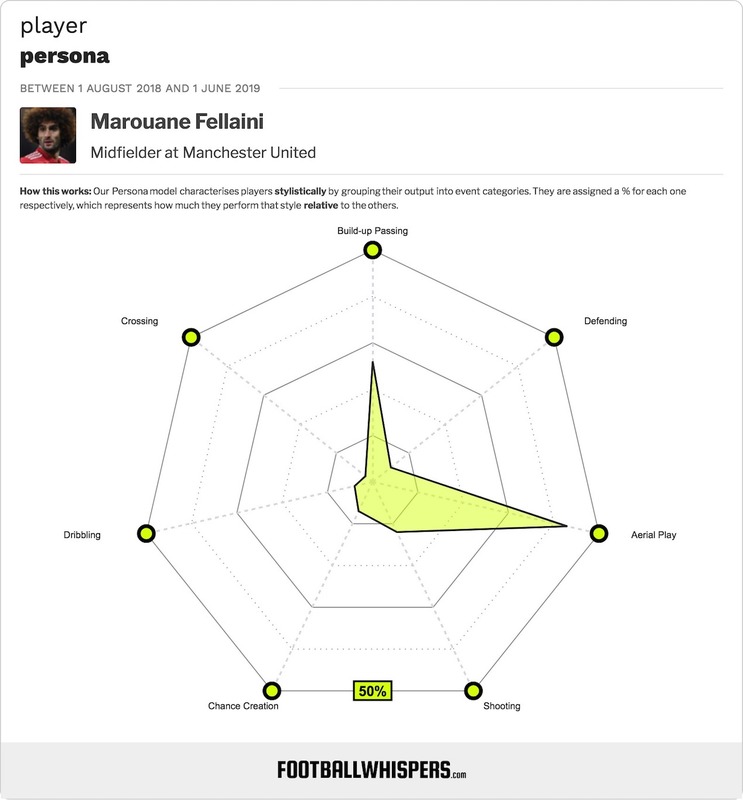 Jose Mourinho evidently harbours doubts over many of his players at Old Trafford, but Fellaini is not one if them. The former Everton man is among the manager’s most trusted players and, as his late strike to seal three Champions League points against Young Boys showed on Tuesday night, he has a knack of coming up trumps when United need saving. Here, our friends at Football Whispers look back at five times Fellaini scored a crucial goal to spare the Red Devils’ blushes. Fellaini wasn’t able to find the net in his first season at Old Trafford, but he opened his account in style early in his second campaign with United. Louis van Gaal’s side were trailing West Brom when the Belgium was summoned from the bench at half-time to replace Ander Herrera. He went on to score with a thunderous strike from the edge of the area, before Daley Blind ensured United escaped the Hawthorns with a 2-2 draw. United all but confirmed their place in the Premier League’s top four, and thus a return to the Champions League the following season, by beating Palace at Selhurst Park in the final month of the 2014/15 campaign. But they made hard work of it. It wasn’t until the 78th minute that the deadlock was broken, with what is now a familiar combination in full effect to unlock the Eagles – Ashley Young sent an in-swinging cross to the far post from the left flank, and Fellaini was on hand to nod home the game’s only goal. As the clock wound down, United looked like taking only the slenderest of leads into the second leg of their EFL Cup semi-final clash with Hull, with Juan Mata on target to put the Red Devils 1-0 up at Old Trafford. However, Fellaini replaced the Spaniard with ten minutes to play and netted a late second goal for the home side, a strike which proved vital to United’s 3-2 aggregate victory as Hull fought for a 2-1 win in the second leg at KCOM Stadium. In what ended up being Arsene Wenger’s final visit to Old Trafford as Arsenal manager, it appeared the Frenchman was going to return to north London with a credible 1-1 draw. Fellaini had other ideas, though. As the clock ticked into stoppage time, it was again a link-up between the Belgian and Ashley Young, and another in-swinging cross met at the far post, which sealed a dramatic three points for United. With the 90 minutes up against Young Boys, the 0-0 scoreline meant United were headed for the unwanted distinction of having failed to find the net in any of their three home games in the Champions League this season. The Red Devils had put in a lacklustre performance against their unfancied visitors and were on course for an embarrassing draw as stoppage time began. But then a hopeful Luke Shaw punt up field found Fellaini in the box via a Romelu Lukaku flick-on. The midfielder controlled, turned and shot through his marker’s legs and into the bottom corner. As Mourinho celebrated by throwing drinks bottles on the sidelines, his trusted lieutenant had book United’s place in the knockout rounds with a game to spare.